Five tips for managing the crib-climb! Got yourself a little monkey who’s already managed to jump from the crib? If so, what I’m about to say next is very important: Crib jumping doesn’t necessarily mean you should transition to a bed. Say it with me: Crib jumping doesn’t necessarily mean you should transition to a bed. “But... but? !” you say. “It’s not safe for my toddler to be jumping from a crib!” True, not without some great precautionary measures in place (I'll talk about these below). Know what else isn’t safe, though? A 20-month old with the ability to wander around the house by himself at night when he gets out of his “big kid” bed. So, what’s the happy-medium? How do we keep our children in cribs until they are really ready to move to a toddler bed, and also keep our little monkeys safe? Read on! I suggest that children sleep in a crib until at least the age of three, and do not transition to a toddler bed/bigger bed before that time. The reason for this is related to your child’s level of comprehension at this age. While it’s certainly not always a breeze to “reason” and “negotiate” with a three-year-old who is constantly getting out of bed, it can be a piece of cake compared to attempts at rationalizing with a two-year-old, who does not have the same comprehension level and reasoning skills as an older child. Further, three-years and older is simply a safer age for your child to be “free” at night if they do decide to get out of their bed, versus a two-year old potentially wandering around the house on their own. For these reasons, I recommend the crib until the age of three! Have a new baby on the way and need the crib for your new little bundle? Buy another crib! Whether new or used (though do ensure it meets all safety standards! ), the financial investment in a second crib will be WELL worth the sanity you save by avoiding the move to the big-kid bed too early! I also recommend that your child wear a sleep bag (also known as a “wearable blanket) until they are no longer in a crib. 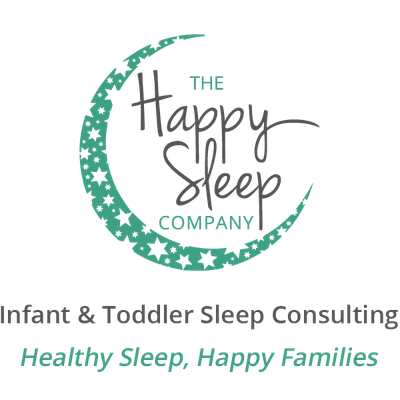 Sleep bags come in LOTS of sizes (some companies even make them in sizes up to 3-6 years), so there is no reason to forego the sleep bag while your child is sleeping in the crib. Once again, as a first step, ensure your child is wearing a sleep bag if still sleeping in a crib. Among the many reasons I love sleep bags is the fact that they are a very big deterrent from your child even attempting to climb out of the crib. However, if your little one STILL manages to escape the crib, even in a sleep bag, we want to create a soft landing zone at even the first sign that she may be capable of climbing out of the crib. So, place a mattress on the floor by the crib and pile pillows at the ends on the floor to ensure a soft landing if she does manage to make the leap! If the crib-jump occurs – even after all your efforts to avoid it! - do not react by giving your child tons of attention about it; this will only encourage him to keep doing it. Instead, stay calm and neutral, and firmly tell him not to climb out again, and put him right back in the crib. Make the interaction boring and very straightforward, to help him understand that climbing out of the crib will not create different results in terms of what happens during sleeptime. If you have a crib with a “back” that is higher than the “front” (which is often the case with cribs that are meant to be convertible to toddler beds, as the high back will later act as a headboard), you can try turning the crib around so the low side is against the wall and the high side is facing out. This creates more of a deterrent for your child who may be trying to climb out the front. (Note: you can also buy cribs that have solid ends – rather than slatted – which makes climbing much more difficult). And, if you can take the base of the crib out altogether and put the mattress directly on the floor, this can buy you a few more inches as well! (However, this is only really an option if the height of the mattress is greater than the space between the floor and the bottom of the crib rail, so little fingers and limbs can't get stuck!). There is most certainly an appropriate time for children to move to a big-kid bed, and in some instances, this MAY be as early as 2.5 years of age. And, of course, if you've exhausted all other resources and your little Houdini still manages to escape and you simply feel the crib is no longer the safest option, of course the next move is to the "big kid" bed. However, in the vast majority of cases, children are most-ready to tackle the toddler-bed milestone after the age of three, and the tips above are good to keep in mind if your kiddo figures out the crib-catapult before that time!